Our front door is finally painted! 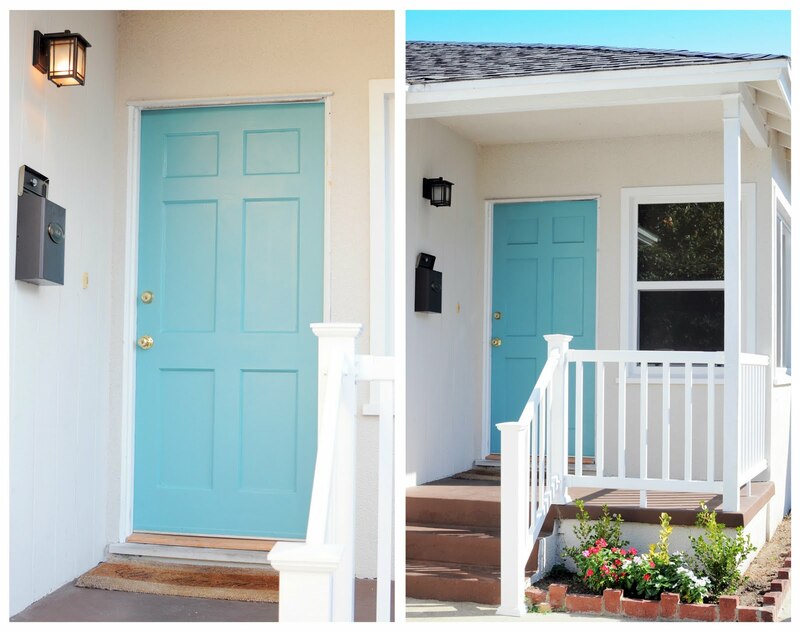 This long weekend gave us a chance to finish a few little projects around the house, including the front door. I'm so in love with the color we chose, Spa Pool by Valspar (Duramax Hi-DEF Exterior Paint) and although hubby seemed a little unconvinced about the color at first, he has admitted it looks kinda nice. 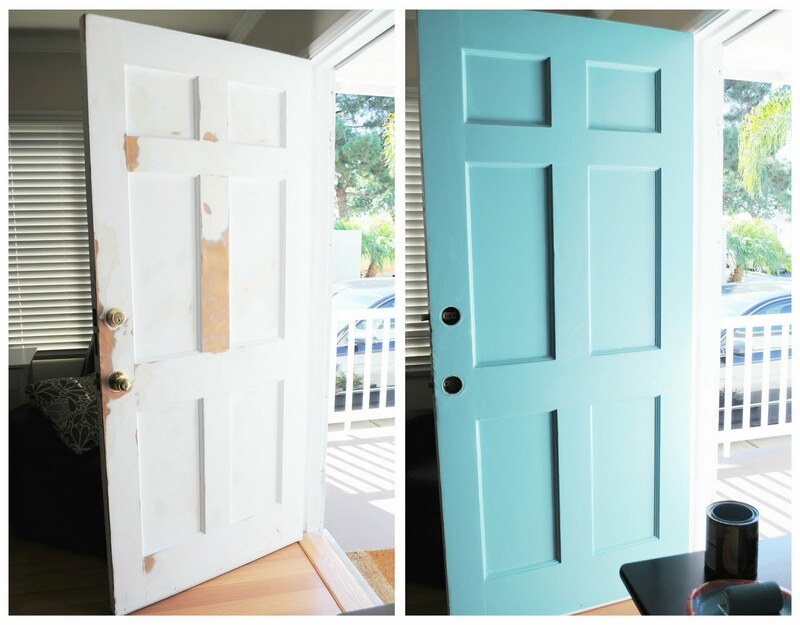 Hubby did a great job of prepping the door for me, so it only took two coats of paint to cover it but I'll probably add just one more coat this week. New hardware and a new welcome mat will be added this week too and then this project will be officially crossed of the list! Wow! This looks just great. I wouldn't have chosen this color for sure, but it's WOW!